aspieRommel earned the Third Anniversary badge. aspieRommel earned the Classically Trained badge. aspieRommel earned the 500 Comments badge. aspieRommel earned the Digital Mediaman badge. aspieRommel earned the Second Anniversary badge. aspieRommel earned the 100 Awesomes badge. aspieRommel and Jokke earned the Lord of ICHQ badge. aspieRommel earned the Couch Conqueror badge. aspieRommel changed his profile picture. aspieRommel earned the First Anniversary badge. aspieRommel earned the 25 LOLs badge. aspieRommel, Creeperbane2, Butters, Signal, Farge and 6 others earned the League of Extraordinary Icrontians Season Five Level 11 badge. aspieRommel, FettBacon, Massalinie, Signal, Marshmellow and 5 others earned the League of Extraordinary Icrontians Season Five Level 13 badge. aspieRommel, FettBacon, Massalinie, Creeperbane2, Butters and 11 others earned the League of Extraordinary Icrontians Season Five Level 12 badge. aspieRommel, Butters, Signal, RahnalH102 and GnomeQueen earned the League of Extraordinary Icrontians Season Five Level 9 badge. aspieRommel, FettBacon, Massalinie, Signal, Marshmellow and 7 others earned the League of Extraordinary Icrontians Season Five Level 10 badge. aspieRommel, Requit, Butters, Signal, oni_dels and 5 others earned the League of Extraordinary Icrontians Season Five Level 7 badge. aspieRommel, FettBacon, Massalinie, Signal, Marshmellow and 7 others earned the League of Extraordinary Icrontians Season Five Level 8 badge. aspieRommel was promoted to Icrontian. aspieRommel, Creeperbane2, Butters, Signal, RahnalH102 and 5 others earned the League of Extraordinary Icrontians Season Five Level 5 badge. aspieRommel, FettBacon, Massalinie, Requit, Butters and 14 others earned the League of Extraordinary Icrontians Season Five Level 4 badge. aspieRommel, DontCallMeKelso, Creeperbane2, Butters, Signal and 20 others earned the League of Extraordinary Icrontians Season Five Level 3 badge. aspieRommel earned the 25 Awesomes badge. aspieRommel earned the Team Fortress 2 badge. aspieRommel earned the 100 Comments badge. aspieRommel earned the 5 LOLs badge. aspieRommel earned the Curator of Delightful Experiences badge. aspieRommel was promoted to Member. 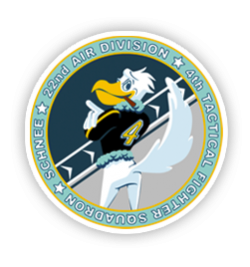 aspieRommel earned the 5 Awesomes badge.